Millets are nutritious, gluten free and easily digestible. Millets are a rich source of fiber, minerals like magnesium, phosphorous, iron, calcium, zinc and potassium etc.  They make a wonderful food for babies. 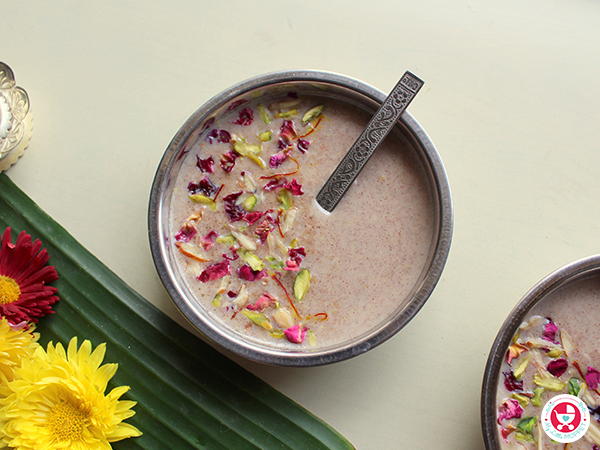 This millet kheer is made from mixed millet health mix from My Little Moppet Foods, almond milk and dry fruits. 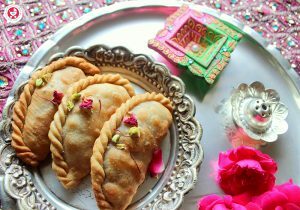 Organic jaggery powder acts as a sweetener here and cardamom powder is used as a flavoring agent. 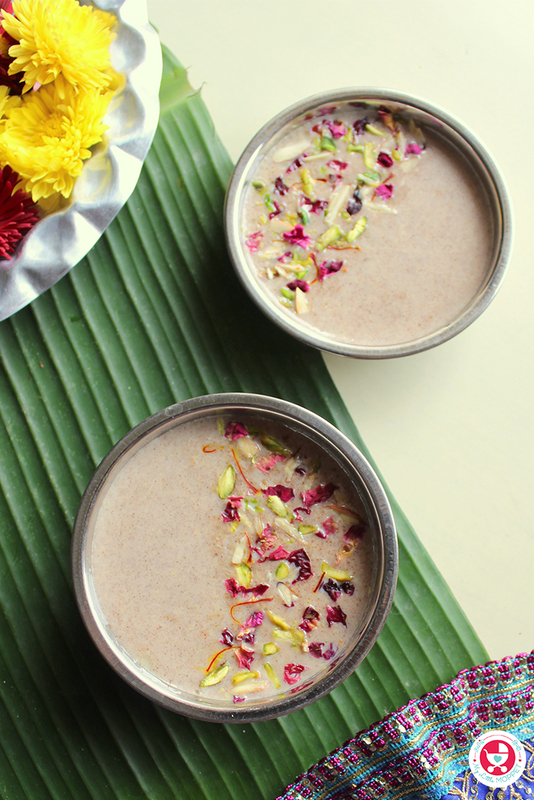 This millet payasam is gluten-free and if you skip ghee, it is vegan too. Deliciously sweet and creamy in texture. 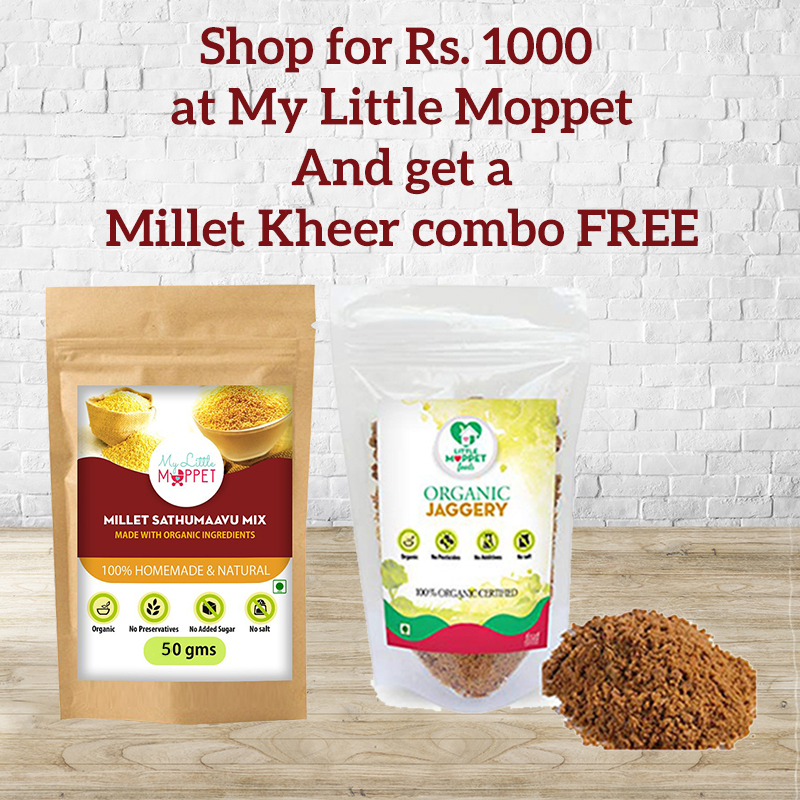 Fresh packs of Millet Health Mix with great offer is waiting for you. Click before the offer ends. 1. Take 2 tablespoon millet health mix in a sauce pan. 2. Add almond milk to it. 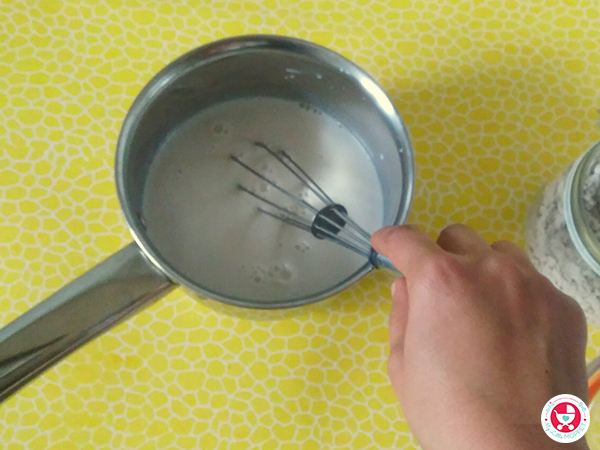 Whisk to get lump-free solution. 3. Transfer the sauce pan to stove top. 4. 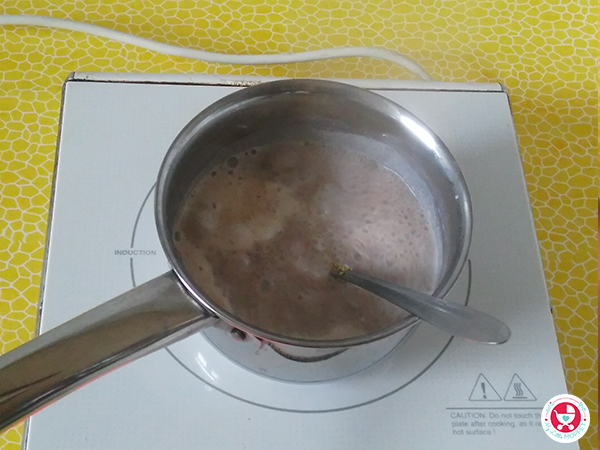 Cook the millet and milk mixture on low to medium flame for 4-5 minutes while stirring continuously. 5. 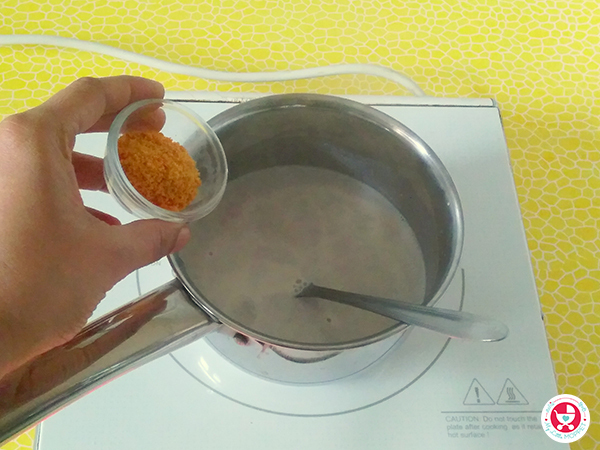 After the mix reduces and start thickening, add the jaggery powder and stir well. Let it cook for 1-2 minutes. 6. Now add dry fruit powder and stir. Cook for another 1 minute. 7. Lastly add ghee and cardamom powder, give a quick stir and put off the flame. 8. 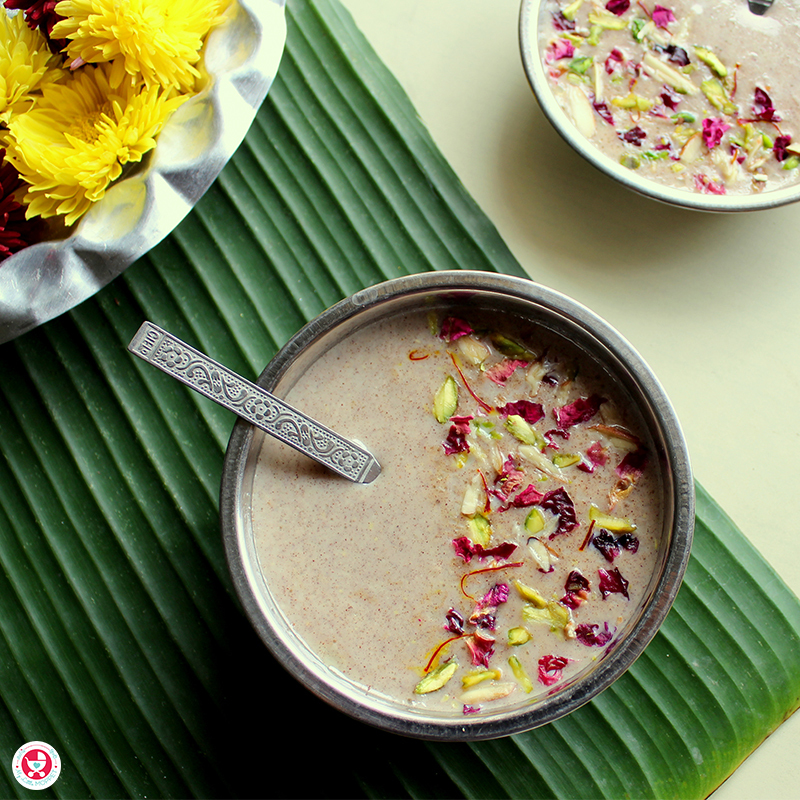 Serve the delicious millet payasam in individual bowls. I have garnished the payasam with saffron strands, dried rose petals and slivered almond and pistachio. This is optional. Do not garnish the kheer if serving to babies. 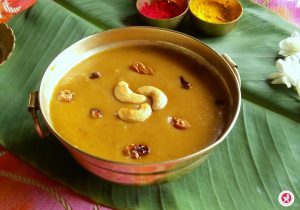 The payasam thickens further on cooling, so adjust the cooking time accordingly. 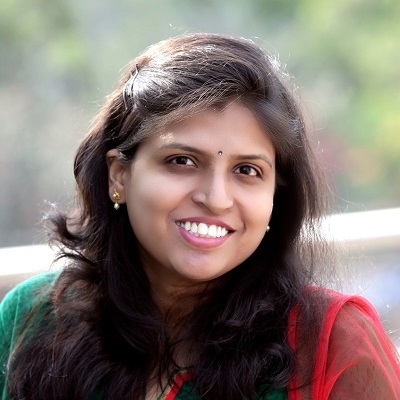 Any plant or animal based milk may be used to make the payasam. I have used almond milk. 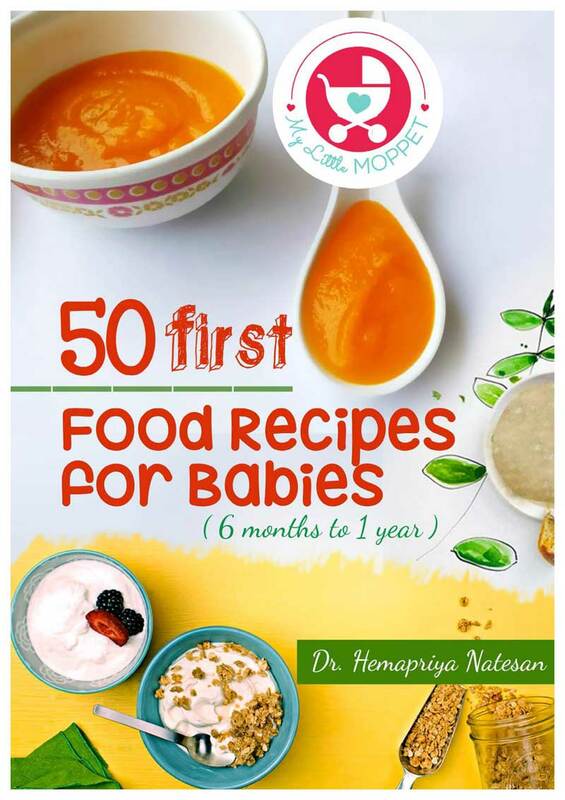 Do not garnish the payasam with dry fruits, if serving to small babies to rule out the choking hazards. 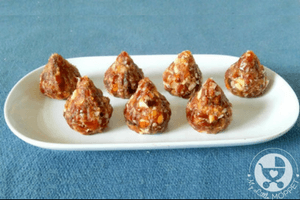 Skip jaggery powder if serving to babies below 1 year. 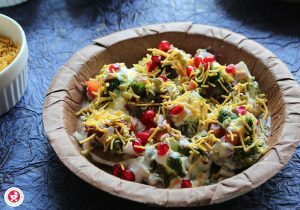 This Delicious, creamy and healthy Indian pudding is the easiest and the best option to be served during functions at home. 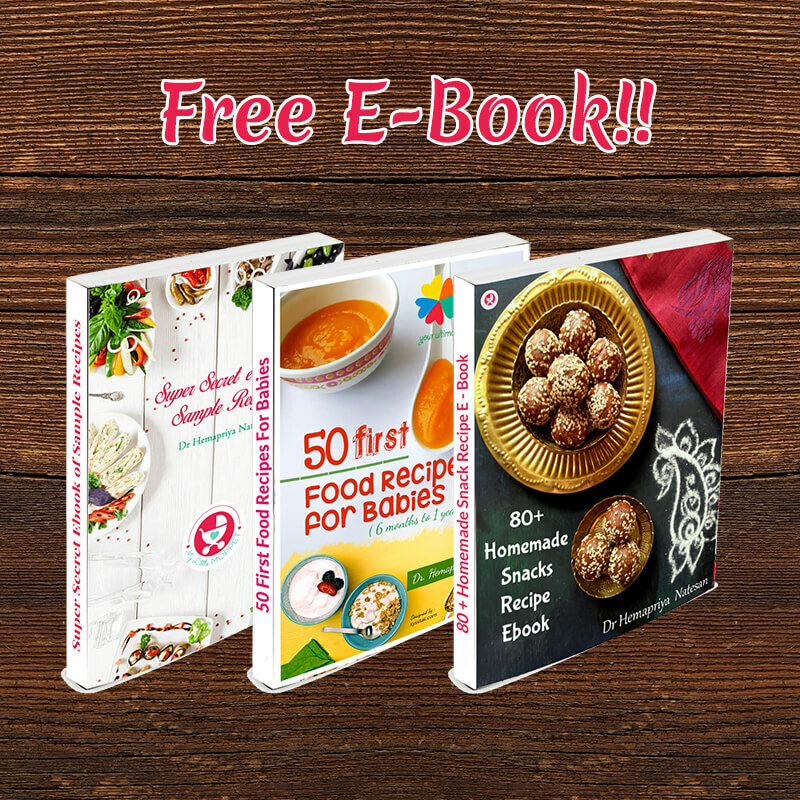 Millets are nutritious, gluten free and easily digestible. Millets are a rich source of fiber, minerals like magnesium, phosphorous, iron, calcium, zinc and potassium etc. 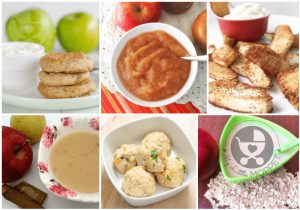 They make a wonderful food for babies. 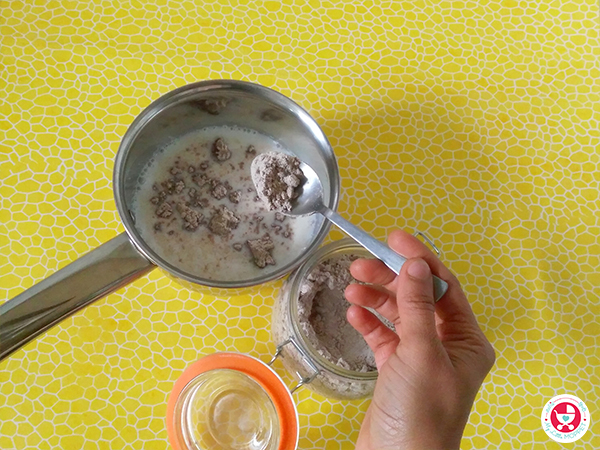 This millet kheer is made from mixed millet health mix from My Little Moppet Foods, almond milk and dry fruits. This millet payasam is gluten-free and if you skip ghee, it is vegan too. deliciously sweet and creamy in texture. 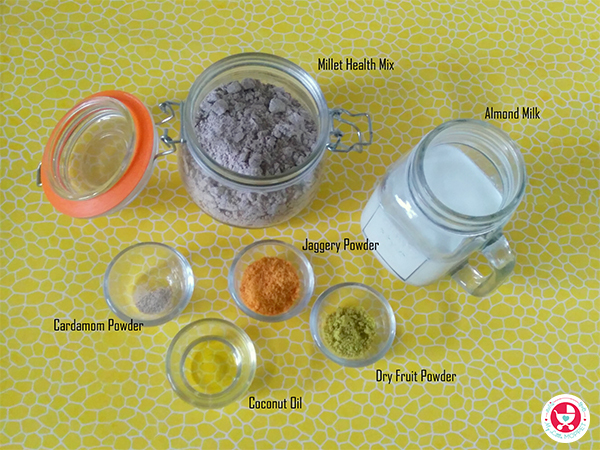 Take 2 tablespoon millet health mix in a sauce pan. Add almond milk to it. Whisk to get lump-free solution. Transfer the sauce pan to stove top. 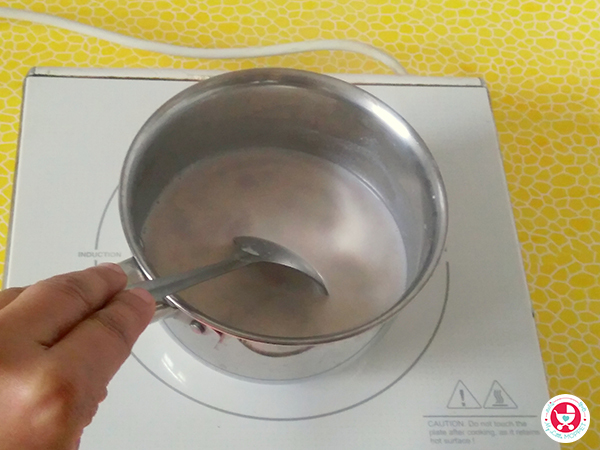 Cook the millet and milk mixture on low to medium flame for 4-5 minutes while stirring continuously. 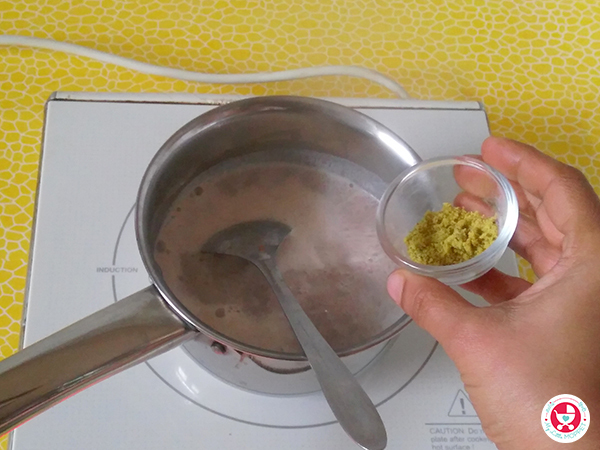 After the mix reduces and start thickening, add the jaggery powder and stir well. Let it cook for 1-2 minutes. Now add dry fruit powder and stir. Cook for another 1 minute. Lastly add ghee and cardamom powder, give a quick stir and put off the flame. 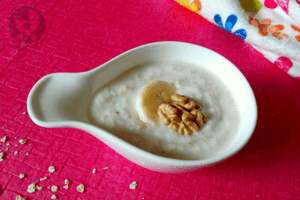 Serve the delicious millet payasam in individual bowls. I have garnished the payasam with saffron strands, dried rose petals and slivered almond and pistachio. This is optional. Do not garnish the kheer if serving to babies.